RAIPUR, Nov 22: India conceded a couple of late goals to go down 1-2 to Australia in the second hockey test at the Sardar Vallabh Bhai Patel International Hockey Stadium. India enjoyed the lead for most of the match after Devender Walmiki scored in the 23rd minute. But Australia struck back-to-back goals in the last quarter through Jacob Whetton (47th) and Aran Zalewski (48th) to claim a well-deserved victory. The visitors have now taken a 1-0 lead in the three-match test series. The first match had ended in a 2-2 draw on November 19. The Indian defenders and midfielders gave a good account of themselves and matched the Australians blow for blow for much of the game. But the hosts seemed to run out of steam in the attacking third and were unable to come up with that decisive final pass. 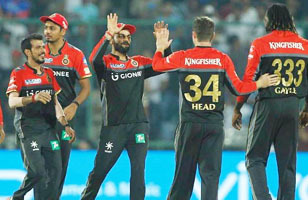 The Indian strikers were also guilty of wasting the few scoring chances that came their way. Both teams started strongly and India almost took an early lead but S.V. Sunil missed the mark despite having the Australian goalkeeper at his mercy. Australia gradually started to get into their groove as the opening quarter wore on and started to put the Indian defence under constant pressure. The Indians responded with the occasional counterattack, but were thwarted by the visitors’ defence. India took the lead against the run of play in the second quarter when a counter-attack saw Amir Khan make a run down the left before picking out Walmiki inside the penalty circle. The latter made no mistake, sounding the boards with a one-touch finish. The hosts will thank their goalkeeper P.R. Sreejesh who pulled off a couple of superb saves to ensure that India went into the halftime break 1-0 up. 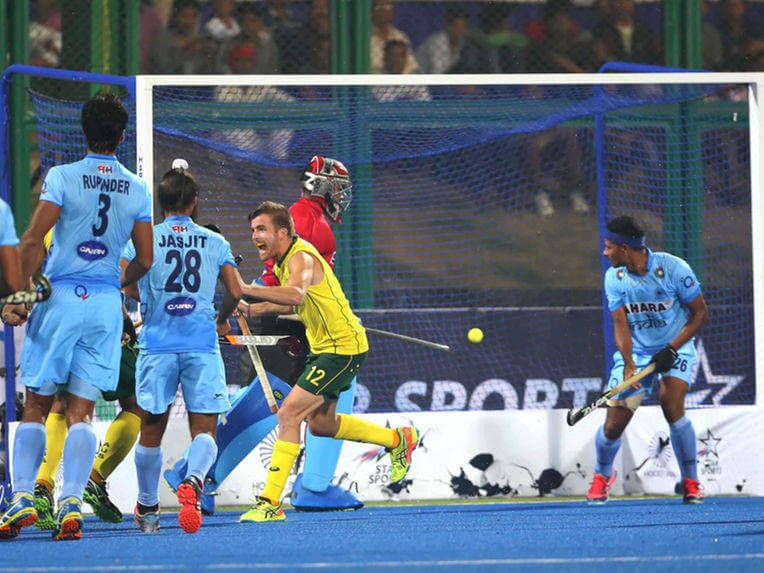 In the third quarter, the Australian made a number of penetrations into the Indian penalty area and came close to scoring on a couple of occasions. But they were kept at bay thanks to some desperate defending. The Indians ran into trouble at the start of the fourth and final quarter as the visitors struck twice in two minutes. The constant pressure on the Indian defence finally took its toll as Whetton produced a superb effort from the edge of the penalty circle which took a deflection before finding the top corner of the far post. Australia put their noses in front seconds later when a speedy attack down the right flank was finished off by Zalewski. Rupinder Pal Singh will have to take his share of the blame as the ball took a deflection off his stick which wrong-footed Sreejesh. The frustration of the Indian players came to the fore when Manpreet Singh was shown a yellow card and handed a five minute penalty for a rough tackle. Drag flicker V.R. Raghunath was also lucky to evade punishment after a physical confrontation with an Australian player.